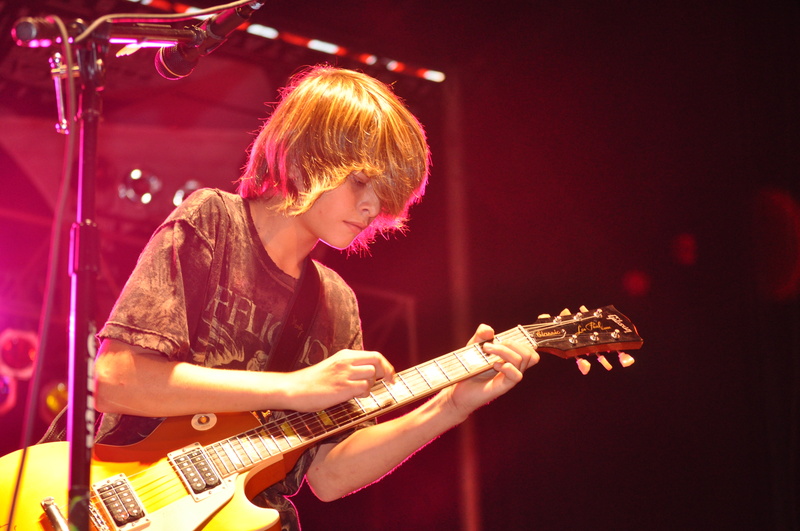 13 year old Grant AustinTaylor exploded into the music scene with innovative intensity and tasteful sophistication seldom seen in such a young artist. Young, self-driven, and memorable, Grant has learned quickly from his accomplishments. Having thrust himself into the music world at age eight, by age nine, he had appeared on 2 National TV shows: Steve Harvey's Big Time and America's Most Talented Kids. His harmonica-guitar delivery of Dylan's Knockin' on Heaven's Door earned him a winning performance on that episode in May 2005. In March 2007, Grant was not only presented the award for Outstanding Young Original Blues-Rock Artist, but he was invited to perform in Hollywood at the Young Artist Awards. In addition to his solo accomplishments, Grant has opened for national acts with his band, including Motley Crue and Aerosmith at the Verizon Wireless Virginia Beach Amphitheater and the Steve Miller Band at The American Music Festival at the Virginia Beach Oceanfront. Grant's experience with large crowds has caused him to be eager for more. He naturally interprets the reaction of each and every audience, filling the show full force with energetic rock-n-roll attitude, and then diverging into slower soulful ballads. His original songs cross a variety of genres and keep the show stimulating. All in all, Grant has chosen to make music his life. Listen to what this young artist has to offer, and you will find yourself understanding why Grant has won the respect of fans, fellow musicians, and music industry professionals alike.